Get Your Regular Class Pass NOW! (Continuing Students) Get Your Regular Class Pass NOW! For Beginners and Continuing Students who want flexibility in coming as their schedule permits and want to come often. $99 Semi-Unlimited Classes for Brand New Students of The Center For Yoga of Seattle! $135 for current or returning students! 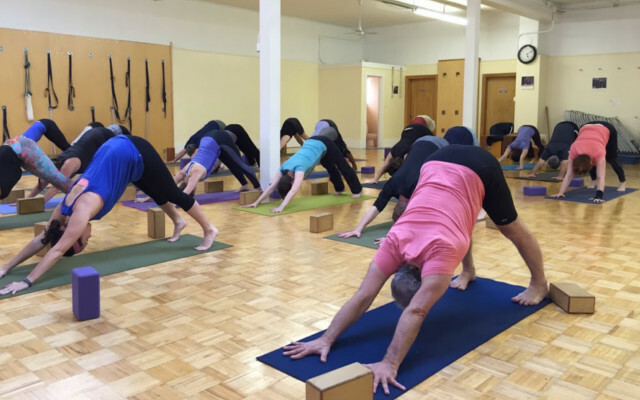 Take advantage of our fantastic Monthly Semi-Unlimited Class Pass and enjoy more frequent classes and the immense power of regular yoga practice. You can take up to 10 select classes a week for the calendar month and do not need to make a reservation. Bring your registration receipt to your first class and the instructor will issue you your Semi-Unlimited Pass - don’t lose it! You will need to sign in on a separate clipboard at each class you attend. The instructor will show you how to do this. The Class Pass expires at the end of each calendar month or earlier for holiday breaks. All passes expire at the end of the calendar month for which the pass is purchased. There are no extensions beyond the purchased promotional period. There are no refunds or credits for missed lessons. No exceptions will be made. You assume the responsibility for your attendance. We reserve the right to change the monthly classes offered in this promotion each month. The Class Pass expires at the end of each calendar month or earlier for holiday breaks. Calendar month is April 1-30, May 1-31. No exceptions will be made. This pass is not transferable to other people. You can only attend the classes in the table above. You cannot attend the Practitioner Training Courses which meet for 2 hours each week and require a separate 1 year commitment and have their own separate fee schedule. Get Your Experienced Class Pass NOW! Get Your Experienced Student Class Pass Now! For those who want a highly charged yoga intensive, See Our 3 Week Intensive courses meeting 4-times a week at 4:30pm-5:45pm. These are held in March, June, July and September.